He was a terrorist, no doubt, but Prabhakaran deserves an obituary, even in a language he barely understood. 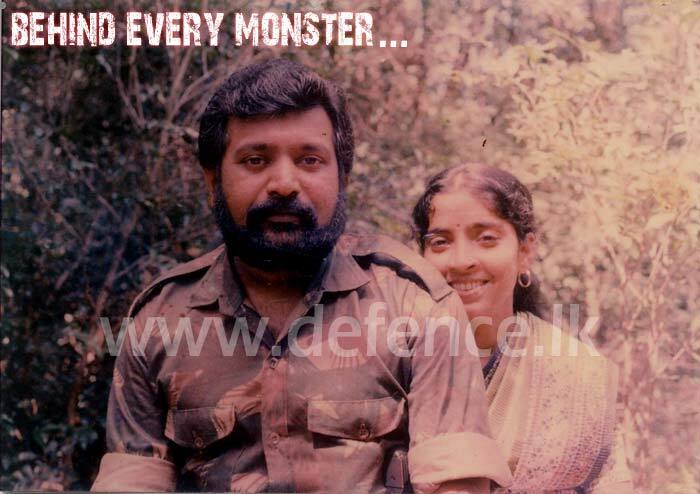 When Lanka Guardian, edited by Mervyn de Silva then, chose Prabhakaran as the ‘Man of the Decade’ in 1989, there was no dispute. He wasn’t a martyr – Osama Bin Laden too wasn’t when he was considered for TIME’s Man of the Year in 2001 – but Prabhakaran was one individual who changed the destiny of a country. Not that it would have been a Singapore, but at least it could have been a country better known for its tea, than for terrorism. Sinhalese typically saw him as their arch enemy. (Many are eagerly waiting for the good news to start grand celebrations. It can happen any time now.) Feelings of Tamils were mixed. While some showed a passive solidarity, thousands spend hours on net eulogizing their Surya Thevan – The Sun God. “Terrorist to one” they said “…a freedom fighter to another” Only a handful of educated Tamils saw him in his true terrorist outfit. To the rest he was the typical smiling, child-kissing politician. At least few Tamil boys and girls were ready to exchange their lives for a last supper with him. There was nothing ‘elusive’ about Prabhakaran, as political pundits liked to remind us. Had he shaved his thick moustache, spoken Sinhalese quoting religious texts and worn national dress probably with a shawl, Prabhakaran could have passed for a typical Sothern politician, with his big belly and smile. Lack of education (He was a tenth standard dropout, just like Wimal Weerawansa) might not have been treated a serious flaw. He could have easily been a minister in President Rajapakse’s jumbo cabinet. In fact, his once second in command made it. Little is known about Prabakaran’s early history. This is what Wikipedia says. 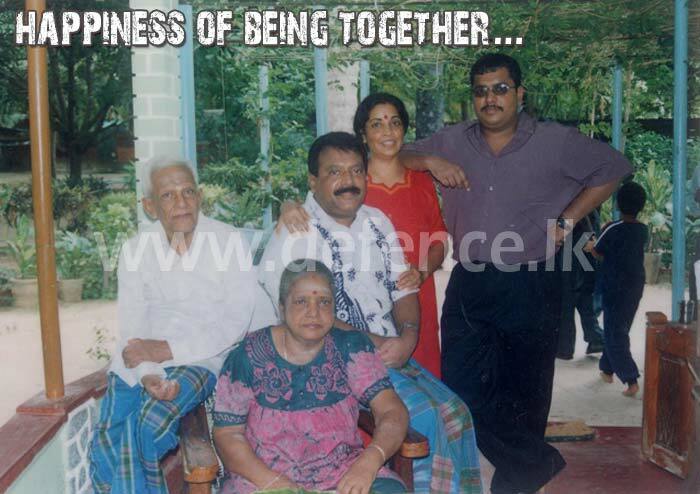 Velupillai Prabhakaran was born on November 26, 1954 in the northern coastal town of Velvettithurai. A Hindu by birth, he joined the student group TIP, during the standardization debates. In 1972, Prabhakaran founded an organization named Tamil New Tigers (TNT) which was a successor to many initial organizations that protested against the post colonial political direction of the country that pitted the minority Sri Lankan Tamils against the majority Sinhalese. In 1975, after becoming heavily involved in the Tamil movement, he carried out his first political murder against the mayor of Jaffna, Alfred Duraiappah, by shooting him at point blank range while he was about to enter the Hindu temple at Ponnaalai. The assassination was in response to the 1974 Tamil conference incident, and the Tamil radicals had blamed Alfred Duraiappah, because he backed the then Sri Lanka Freedom Party (SLFP) implicated in the violence as well as for allegedly betraying the Tamil nationalist sentiments in the Jaffna peninsula. In May 5, 1976, the TNT was renamed the Liberation Tigers of Tamil Eelam (LTTE), commonly known as the Tamil Tigers. Some of these facts are disputed. Contrary to the popular belief, there is a school that believes Alfred Duraiappah was killed by a rival gang. With nobody to certify, these minor details will now be forever lost. Prabhakaran’s political origins were closely linked with the splitting up of nation on cultural and linguistic lines in mid 1970s, what was later termed as an ‘ethnic issue’. A radical youth in his early 20s, he was in the ideal position to exploit the increasing gap between Tamil politics and the mainstream. He was more the ‘first among equals’. Uma Maheshvaran, Sabaratnam and even Kuttamani – assassinated by Sinhalese prisoners in the immediate aftermath of 1983 Black July were either his seniors or equals. Instead of condemning, the senior Tamil politicians like Amirthalingam encouraged the growing unrest among youth, certainly to be exploited for their own political objectives. Little did they realize they nurtured a treacherous scorpion, who would one day bite the same hands that fed him. Then it was too late. Prabhakaran was never guided by any strong political ideology. All he had was shamelessly hijacked SJV Chelvanayakam’s political agenda. His political immaturity never let him change the boundaries of the original map of the mythical Tamil Eelam. It was based on the first colonial segregation of administrative districts (only five then) and included not just present North and East but parts of Puttalum and Polonnaruva districts, where no Tamil inhabitations exist now. Wthere he was too dumb to imagine the majority presenting such a vast geographical area in a plate of silver or that was only a cover for receiving the continuous support of Diaspora Tamils, the younger generations of whom had little idea of the issue is not clear. Now he is dead and gone, we will never know. Further, Prabhakaran’s mythical state of Tamil Eelam, was a only cut down version of the feudal state Rajapakse is planning to create in South. It was meant to be a monarch, with a royal family and all, not even a twentieth century autocracy. There wouldn’t have been even a trace of modernity. Just like Rajapakse wants to take us few centuries back to the days of King Rajasinghe, Prabhakaran wanted the resurrection of the dynasty of Nallur kings. He certainly wouldn’t have tolerated elections, a parliament or an opposition. Had it ever materialized, it would have been an isolated kingdom, with no Diaspora Tamil ever wanted to return or invest in. In fact, Diaspora Tamils have never tolerated Prabhakaran as their ‘king’ for too long. He was only their instrument against the real or imagined oppression by Sinhalese majority. What made Prabhakaran’s larger than life image was his ability to survive for thirty long years against both the Sri Lanka forces and IPKF. Rest of the rebels, including Minister Douglas Devananda laid down their arms and joined mainstream, but not him. In retrospective, Prabhakaran’s survival should not be a surprise. The Government of Sri Lanka never. had a consistent strategy to match his. Successive governments attempted to find an everlasting solution to the ethnic issue, through democratic means rather than focusing their strengths on eliminating Prabhakaran or LTTE, till somebody made it his life mission. Past presidents, three of them from UNP, knew when ethnic issue was solved Prabhakaran would cease to exist. However, none of them, till Ranil Wickremasinghe bravely did, sacrificing his political future at least temporarily, offered a viable solution to the ethnic issue. There was hardly any attempt to win the moderate Tamils. So the opportunity was forever lost with Prabhakaran receiving a walkover. The only Sri Lankan leader who ever politically weakened Prabhakaran was Ranil Wickremasinghe. It is not a surprise he fondled such a grudge against Wickremasinghe. A myth fondly propagated by the present government is that Mahinda Rajapakse alone defeated LTTE. He didn’t. Jaffna peninsula, the historical stronghold of Tamil rebels was overtaken by security forces in 1996, during Chandrika kumaratunge regime. 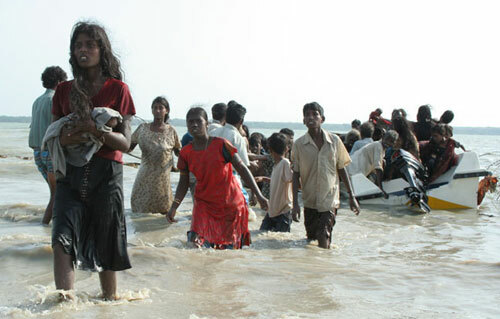 Killinochchi was only their temporary shelter. LTTE was further weakened during the Ceasefire period as the return to normal life after a long last war made many leave the movement. The restart of economic activities were the main reason for the fast disintegration of the LTTE at the time of the fall of Ranil Wickremasinghe’s government. The security forces, under Mahinda Rajapakse regime hit this already weakened set up. So it is unfair for the current government to disregard the indispensable contributions of the former President Chandrika Kumaratunge and former Prime Minister Ranil Wickramasinghe, in making a job lot easier for them. In the dog-eating-dog world of Sri Lanka politics however, it is too much to expect such a gratitude. Even a bigger myth is that the ethnic issue will vanish with Prabhakaran. Well, he didn’t create it, so why assume his demise would bring end to the hatred between the two communities? Contrary to what President Rajapakse wants us to believe (in vain), the mistrust between the Sinhalese and Tamils will continue. Tamils will never recognize Rajapakse as their leader. So even though the armed struggle is over temporarily the Herculean task of uniting the nation remains to be a task to be completed by a more capable and wiser leader then the present President. Back to Prabhakaran. Did he achieve anything worthwhile for his community? The answer is a big NO. Ethnic (Jaffna) Tamils are worse off than they were in 1970s. More than half of the Tamil population has already left for good. Thousands of Tamil families had to live with eternal grief of losing one or more family members. Ethnic Tamils, the largest minority in Sri Lanka then, has now reduced to the pathetic third place after Muslims and Indian Tamils. Jaffna, the second most advanced city in Sri Lanka, with its famous education system, is now far behind. As a community Tamils, at least the unfortunate ones to still remain, have moved ten or twenty years backward. They were termed as terrorists across the world. North and East have become more and more economically dependent on Colombo. At least for the next few years, till a UNP government implements a political solution, they will be remotely controlled from Colombo. All thanks to Prabhakaran. 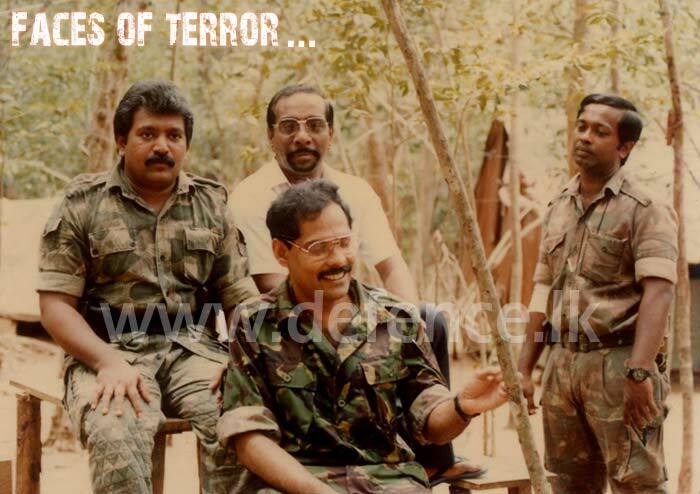 Prabhakaran’s life was a book of mistakes – a manual of how not to do things – but even among them there are three big blunders. First was the assassination of Rajiv Gandhi. Whatever the reasons, with this emotional act, he lost the only possible international ally. (Had India been neutral it would not have been so easy to eliminate LTTE) The second was his decision to kill civilians – irrespective of their ethnicity. Even ethnic (Jaffna) Tamils were not spared in these random killings. The southern equivalent of LTTE, Janatha Vimukthi Peramuna (JVP) never killed civilians and had a section of masses supporting them till the end. Majority of the Sinhalese were not racists and till mass civilian killings began in Colombo and Anuradhapura some were even politically sympathetic to their cause. Killing of innocents changed that forever. The third and the biggest mistake was Prabhakaran’s decision to indirectly support Mahinda Rajapakse in the 2005 Presidential election. If not for the LTTE’s boycott Ranil Wickremasinghe could have been the President and could have brought a more humane and ever lasting solution to the ethnic issue. Now that opportunity is lost forever. A political solution is only a dream under the present regime. Prabhakaran is no more a hero than Hitler or Pol Pot, but he is a legend that will live on. I am sure for centuries to come mothers use his name to scare little children. I am personally happy to see the ‘king maker’ gone. In future people of this country will elect their leaders, not Prabhakaran. I make this blog post after a long interval. I guess my readers understand why. An election campaign is no joke. It absorbs all the time and effort one can afford. For a first timer it is even more arduous. For two months, the number of hours I slept dropped to four. It was fun though. Especially when you top the district in preferential votes. It was a true victory for a first timer. Enough had been said already, so I need not repeat. I just express my profound thanks to everyone who helped me in achieving that. That includes the hate bloggers, for reason they better understand, created false accusations thinking that would stop me. Jealousy knows no bounds – so I am not surprised. 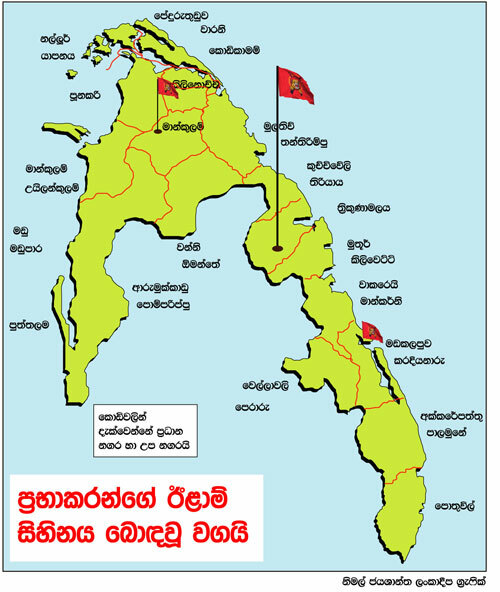 Yes, UNP did not win any three of the districts. Again I do not intend elaborating. Adequate to say that a political party is a group. When you are a mere cog in a machine little you can do to change a system. I hope now the people of Kalutara district have decided that I should no more be a mere cog. That is why they gave me this power. No predictions now, but I can assure you I am not going to sit there and wait. CHANGE is what you believe in and CHANGE is what you get. In UNP and in country. Trust me. I have also proved that I blog not for votes, but to voice my opinion. I have always been against the war, against the corruption and the tyranny of the present government. It is not because I am a UNPer, it was because what Kurakkan does is against any civilized norms. I am happy to see the outcome. The voice we made forced Kurakkan uncle avoiding genocide. If not for that and the right international intervention, at least 100,000 innocent Tamil civilians would have been six feet under the ground by now. In a way, we did a favour for Kurakkan uncle. In not, by now his name would have gone to the annals of history along with Pol Pot. I am determined to continue that debate. I also thank all my well wishers, most of them I know only through online. I am sorry if I missed responding to individual e-mails. A long journey has just begun. I invite you to join that difficult journey.